When I-295 opened in 1970, Clay County was home to 32,059 residents. Today, an estimated 208,311 reside in the rapidly growing county just outside of Jacksonville. 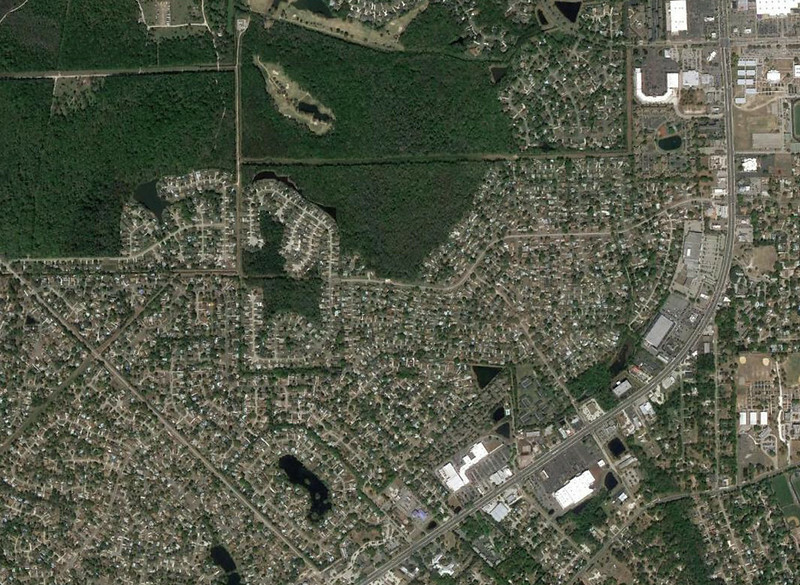 Here's a visual before and after comparison of the county's transformation into a bedroom community of Jacksonville. 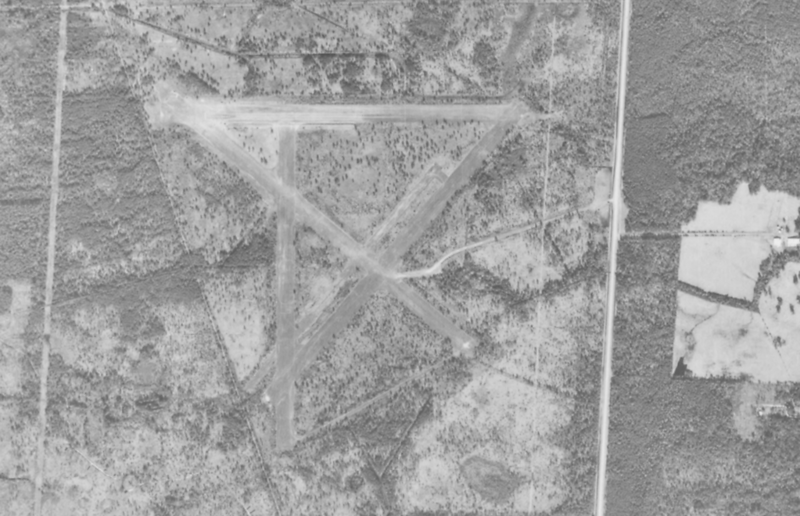 Middleburg Airport was a small satellite airfield with two 2,500-foot grass runways used to support Navy flight training during WW2. Although the airport was closed following the end of WW2, the site remained untouched until the 21st century. 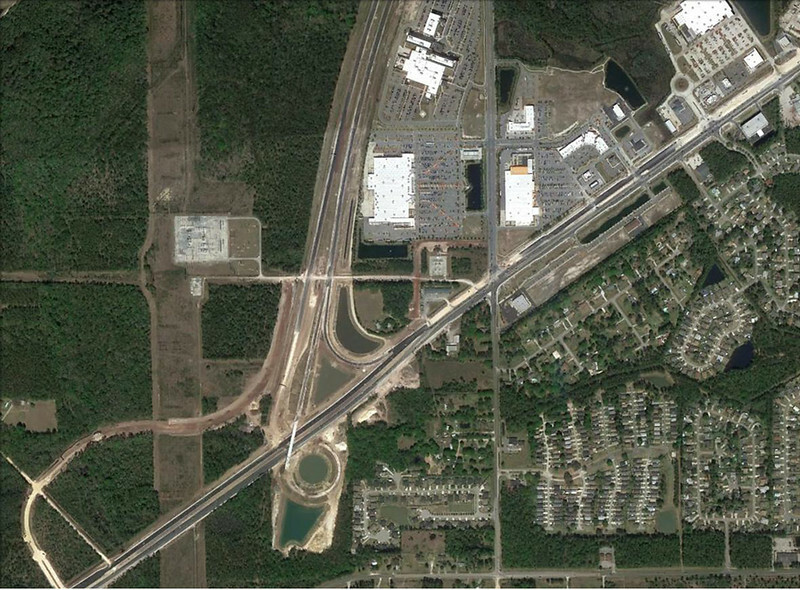 Today, it features a Walmart Supercenter and serves as the path of the First Coast Expressway, just north of SR 21/Blanding Boulevard. 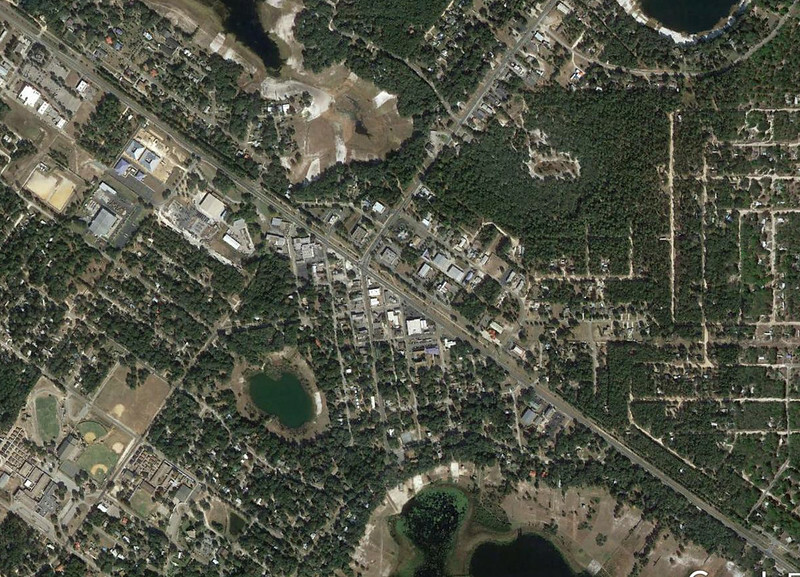 Fleming Island NOLF was established around 1942 as a satellite airfield for NAS Jacksonville. By 1970, a part of the abandoned airport was being used for drag racing. From the 1960s until the early 1970s, the airfield was used for drag racing. Called the Thunderbolt Dragway, due to the large number of P-47 Thunderbolt war planes that were once housed there, the race track was organized by Burch Stump, Ed Taylor and Ben Zellner and operated until the early 1970s. 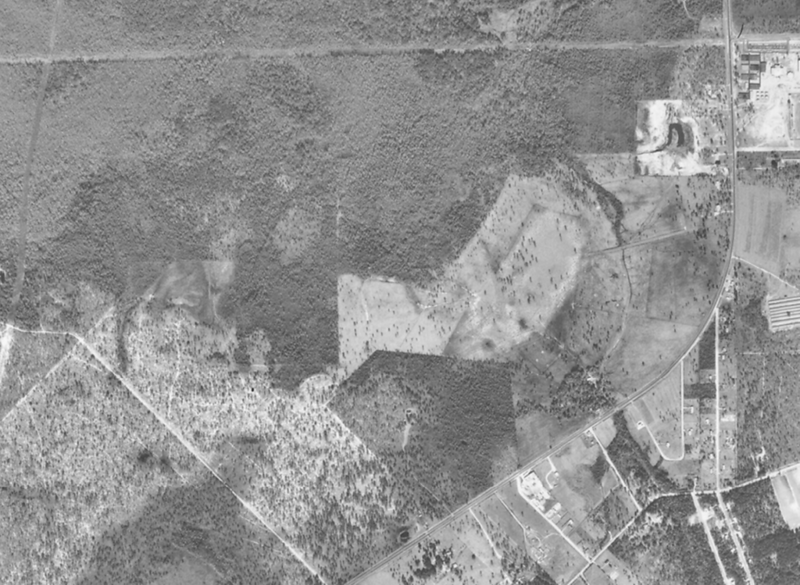 In 1998, the abandoned airfield was a part of a 2,129-acre tract approved for the massive development of Fleming Island Plantation. 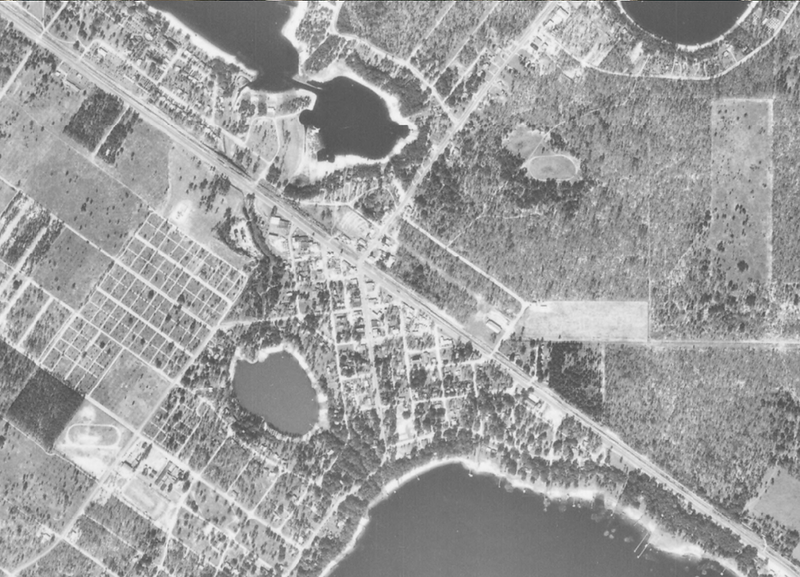 Bordered by water or wetlands on all sides, Fleming Island was largely undeveloped around the intersection of County Road 220 and US 17 in 1970. 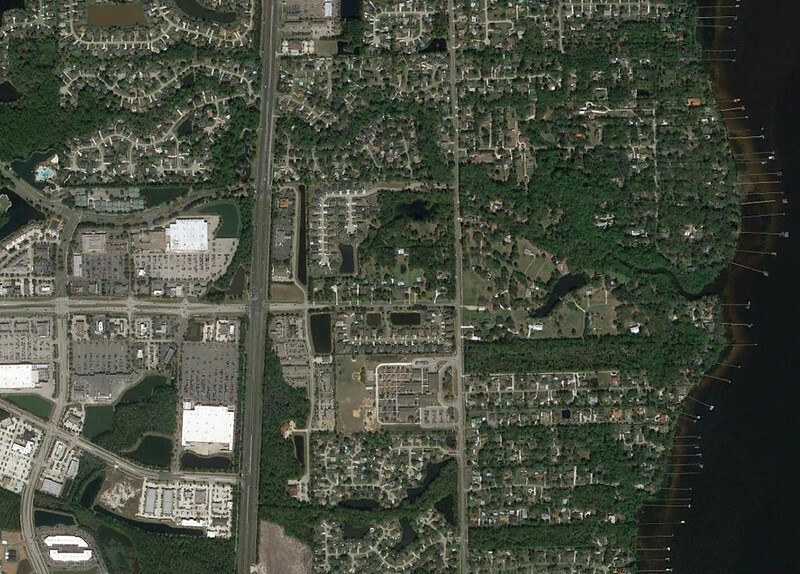 This changed with the development of Eagle Harbor and Fleming Island Plantation over the past two decades. 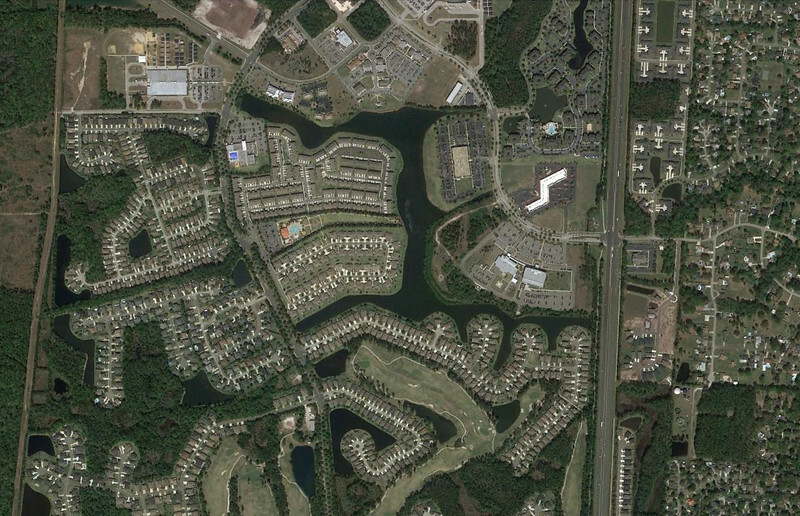 Today, Fleming Island ranks among the wealthiest zip codes in the Jacksonville area. 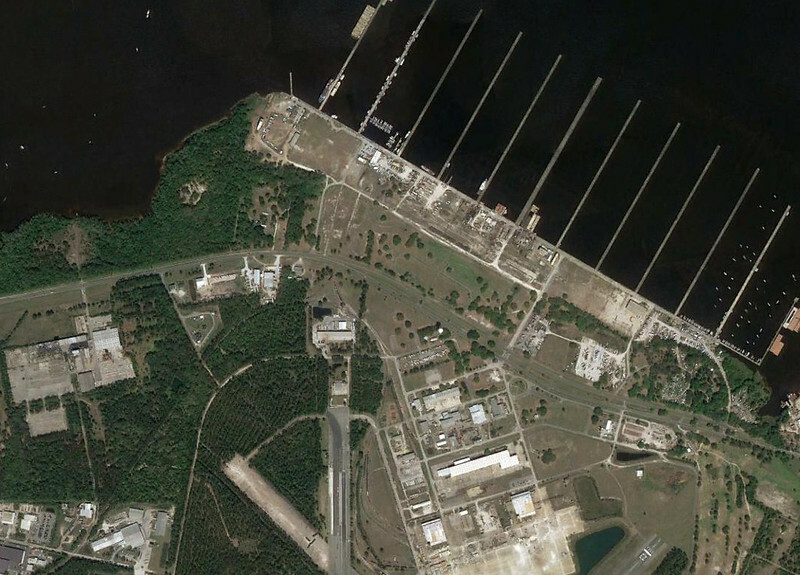 On September 11, 1940, the U.S. Navy made it official, opening Naval Air Station Lee Field, just south of Green Cove Springs. The Air Station was named in honor of Ensign Bejamin Lee who had lost his life in a crash at Killinghome, England, during World War I on October 28, 1918. 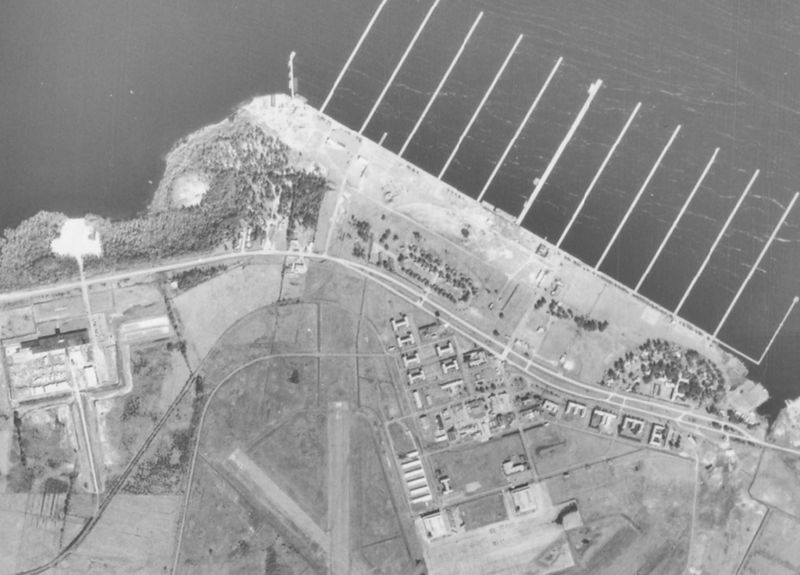 Benjamin Lee Field was designed to train pilots for landing operations on aircraft carriers during WWII. Named after developer John J. Lawrence’s home state of Pennsylvania’s nickname,the “Keystone” state, Keystone Heights was incorporated in 1925. 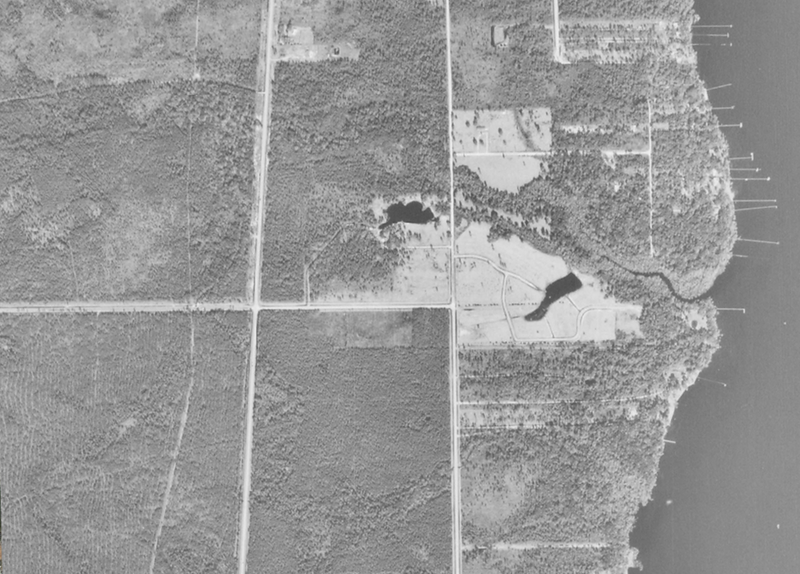 By 1970, Keystone Heights was home to 800 residents and lakes full of water. While no one really knows the actual reason, the community’s lakes have been drying up in recent years. Reasons suggested include significant development in the Jacksonville area causing the aquifer to drop, a lack of substantial rain over the years, local sand mining and a lack of water flowing into Lake Brooklyn from Alligator Creek. 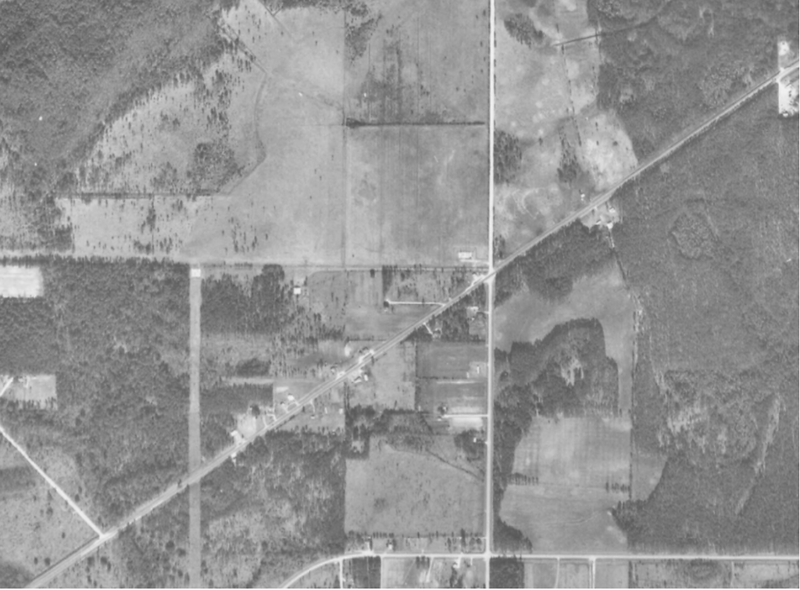 There was not much development going on along SR 21/Blanding Boulevard, south of Orange Park High School and Kingsley Avenue in 1970. This would chang with the development of Heritage Hills during the late 1970s and early 1980s.